Any good business will try and continue to adapt to the changing needs of their customer base and Medicare is not any different in this respect. With an extension as well as an earlier start date Medicare has decided to get drastic with changes to how people enroll. You will need this information to make sure that your policy is ready in time for next year so you may want to jot a few things down. 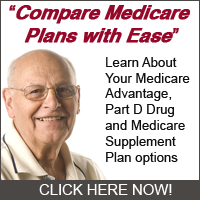 Medicare will start with a two week time frame that begins on the first of October and extends to October 15th, this will allow you to see any changes to plans and rates for next year. A benefit to customers with this changes is that you get to take a little more time to begin analyzing the best option for your life. Start building the right plan for yourself by contacting your Medicare provider on October 15th and see if you have made the right decisions. You will have from that October 1st date until December 7th, 2012, to be able to make a decision as that will be the last day to enroll. The first day of the next year will start your new coverage plan that you will have a little over two months to determine. Leaving Medicare or altering your plan is still possible at other times of the year as well, but this is the new open enrollment period.